India’s largest luxury car manufacturer Mercedes-Benz today, redefined the luxury executive sedan segment with the launch of the first ever right hand drive (RHD) long wheelbase (LWB) version of the new E-Class luxury business sedan. From its launch, this intelligent business sedan will be ‘Made in India, for India’. With over 13 million units sold globally, the E-Class sedan and Estate are the best-selling vehicles for Mercedes-Benz. The new E-Class with its high quality appointments is an illustration of excellent craftsmanship and reflects modern luxury synonymous with Mercedes-Benz. The new E-Class sedan in its 10th generation, is a comprehensive luxury business sedan that intelligently blends driving performance with unmatched luxury and comfort, boasting of the ‘most spacious’ rear cabin in the segment. 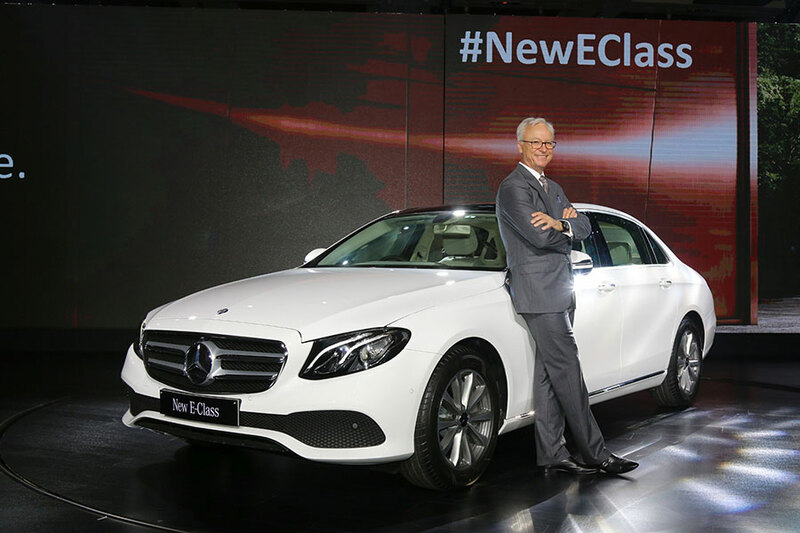 The new LWB E-Class was launched by Roland Folger, Managing Director & CEO, Mercedes-Benz India. The new E-Class with its rich history spanning over 2 decades with around 34,000 units on Indian roads, remains a very important product in our portfolio, playing a vital role in the product strategy of Mercedes-Benz India. 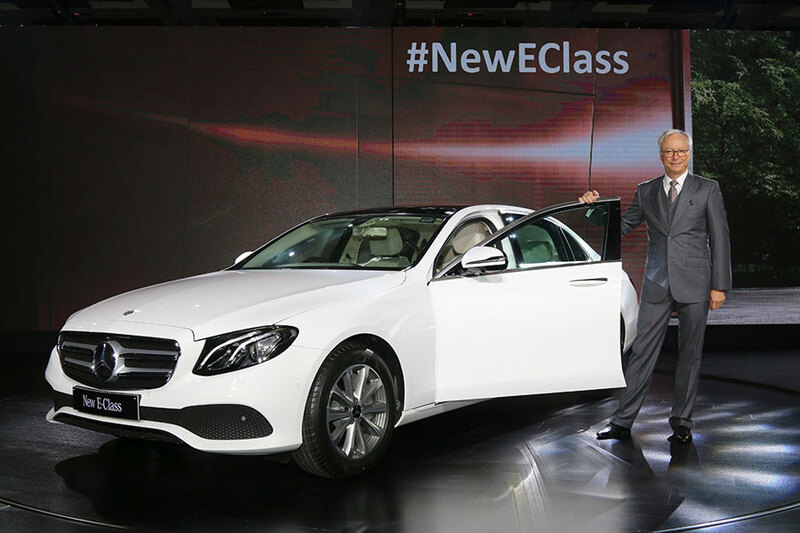 Majority of our E-Class customers in India are chauffeur driven, and hence it was a natural decision for us to introduce the long wheelbase new E-Class in India and create a new benchmark in the luxury executive segment. India becomes the only country in the world to offer the right hand drive long wheelbase version of the new E-Class, and it took almost 48 months to develop this masterpiece from scratch. As a part of offering the ‘Best Customer Experience’ to our customers, we are glad to introduce to them their favourite luxury business sedan, which will be made in India, for India, from the day of its launch. With the start of production of the new long-wheelbase E-Class, we are continuously expanding our portfolio of ‘Made in India’ products, offering our Indian customers numerous technical innovations of the most intelligent executive sedan. Building nine different model derivatives for local demand in top quality, Pune has become one of our most flexible plants and an absolutely integral part in the global and efficient production network of Mercedes-Benz Cars. This is a great success story made possible by the hard work and dedication of both the management and the workforce in Pune. The new long wheelbase E-Class is truly a ‘Masterpiece of Intelligence’ with its various path breaking innovations. The new E-Class is delightful to drive and fulfills the desire for individuals seeking driving performance, while ensuring it presents the most luxurious rear cabin experience, comprising unparalleled luxury appointments, for those preferring to be chauffeur driven. What makes the new E-Class an even more intriguing value proposition for the customer, is the highly competitive service packages that start at just INR 64,700 and sets an industry benchmark for lowest cost of ownership in the segment. We are very confident that the new long wheelbase E-Class will continue the success story of the business sedan in India. The long-wheelbase version of the new E-Class sedan built in India, for India, introduces numerous technical innovations of the most intelligent luxury executive sedan, and also offers an even more spacious rear compartment with a first-class character. It exceeds the E-Class sedan sold in the world where both the wheelbase (3079 millimetres) and the length (5063 millimetres) are increased by 140 millimetres. The rear compartment of the luxury sedan offers an extra 134 millimetres of legroom for the occupants.